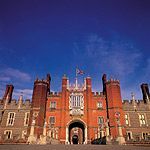 One of the grandest of all the Royal Palaces, Hampton Court was the palace of Henry VIII and is a fantastic example of Tudor architecture. With lots of exciting events and attractions on throughout the year, there is always something to see and do. 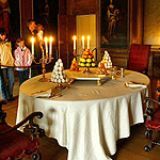 Do you work at Hampton Court Palace? 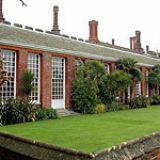 Whilst Hampton Court welcomes all visitors, this historic building has places with difficult stairs and passageways that wheelchair users might find difficult. 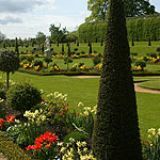 Visitors can enjoy our large gardens and the maze while those with palace tickets can also make use of our formal gardens. What did you think of Hampton Court Palace? We went to The John Barrowman open air concert at Hampton Court Palace last night. What a wonderful place for a concert. You can picnic on the lawns at the back them go into the courtyrad for the concert, small and up close and a wonderful atmosphere. I will definately be going back there again for concerts, the car parking was also easy in and out and free.